for the Fiber Friends & Fiends! Theresa Kaiser, alpaca “mom”, has invited me to have a table with my jewelry for sale on her farm, for Alpaca Days, Sept. 28. There will also be lots of wool & alpaca-related items for the fiber-friendly folks. 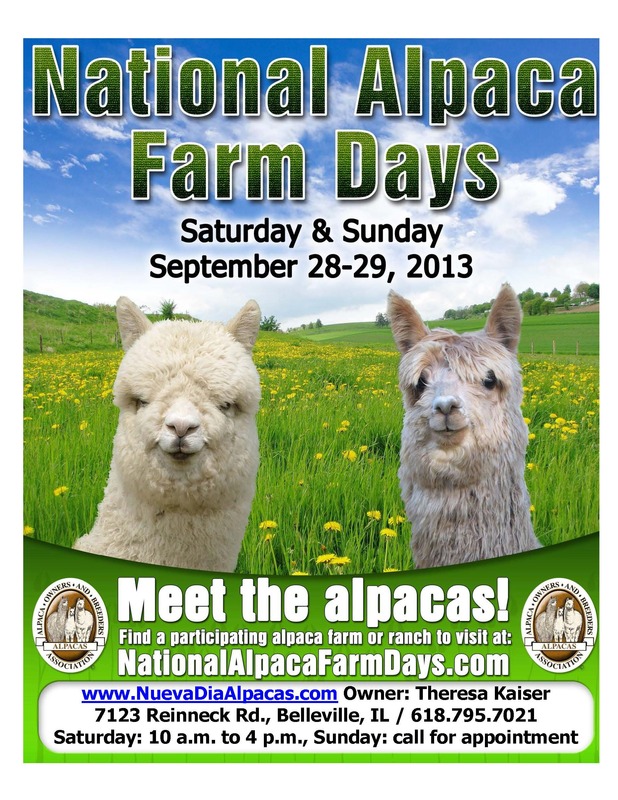 Why not spend a pretty fall day (we hope!0 near Mascoutah, Illinois, pet an alpaca, and have some fun on the farm! This Sat. & Sun. – Art in the Park – and I am having a BIG RED-LINE SALE of my jewelry & other glass art – many many items discounted – always fun & so much talent to see in the park – plus really good kettle corn & live music, including Jim Stevens on sax Sat.!!!!! What’s not to love?